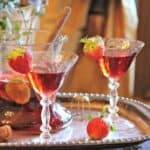 This recipe for Sparkling Strawberry Sangria is a much lighter version than the traditional Portuguese sangria. It’s perfect for a fun afternoon and it pairs nicely with anything chocolate. Mix up a batch for mom this Mother’s Day! 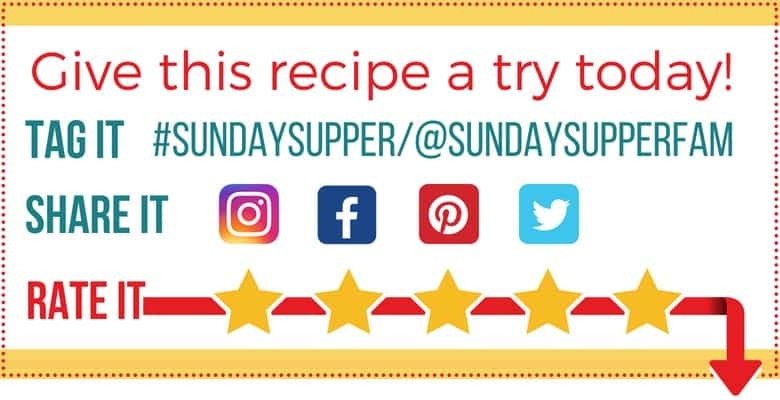 This recipe is published courtesy of the Florida Strawberry Growers Association. We are delighted to share it here for Weekday Supper. You can find more of their delicious strawberry recipes on their website. Ready to stir up a pitcher of sparkling strawberry sangria? Sparkling Strawberry Sangria is a much lighter version than the traditional Portuguese sangria. It’s perfect for a fun afternoon and it pairs nicely with anything chocolate. Mix up a batch for mom this Mother's Day! Combine the sliced Florida Strawberries, sugar and 4 chopped mint leaves in a pitcher. Gently stir and let sit in the refrigerator for a minimum of 2 hours. Add the sparkling wine, ginger ale, vodka and 4 slices of lime. Using a wooden spoon still until well blended. Chill or add ice and serve cold. Garnish with additional Florida Strawberries, mint or lime slices.